It’s a well-known fact that a pedestrian hit by a motor vehicle at 30mph had a higher chance of being critically injured as opposed to an accident happening at 20mph. The reality is probably worse than we’d like to think – that extra 10mph increases the likelihood of the accident being fatal by 5 times (https://www.rospa.com/rospaweb/docs/advice-services/road-safety/drivers/20-mph-zone-factsheet.pdf). It would seem, however, that simply by stating the speed limit is now 20mph doesn’t go far enough. The areas where the limit is self-policing, where speed humps or bollards ensure that the speed limit cannot be exceeded, are fine. However, drivers on roads where the highway is clear from such obstacles are struggling to understand why they need to adhere to this speed limit. Test sites fitted with car counters across the road have discovered that 81% of drivers don’t adhere to speed rules in these areas. ROSPA, the Royal Society for the Prevention of Accidents, are pushing for more 20mph zones to be introduced in cities, towns and villages across the UK, but does that go far enough? It would appear that the best way to get drivers to slow down in these areas is by adding the traffic calming measures so that they have to slow down. 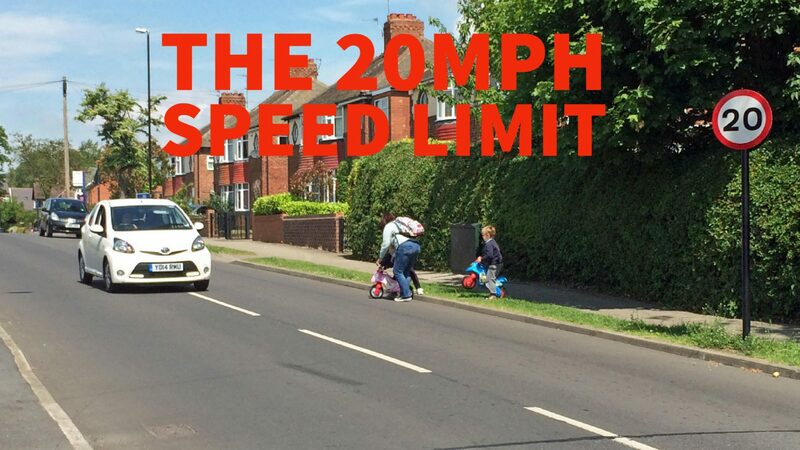 Additionally, many of the 20mph roads are policed by local communities (such as the “20’s Plenty” campaign), which doesn’t appear to be deterrent enough for drivers. What is key, however, is that whatever the speed limit, it is set for a reason and it should therefore be adhered to. It doesn’t matter whether it’s enforced by the police or the community; the limit is there for safety’s sake and should not be broken. Some modern cars will now display the speed limit on the dashboard and alert the driver if the limit is exceeded. This can only be a good thing in the drive to reduce the number of accidents in these areas.